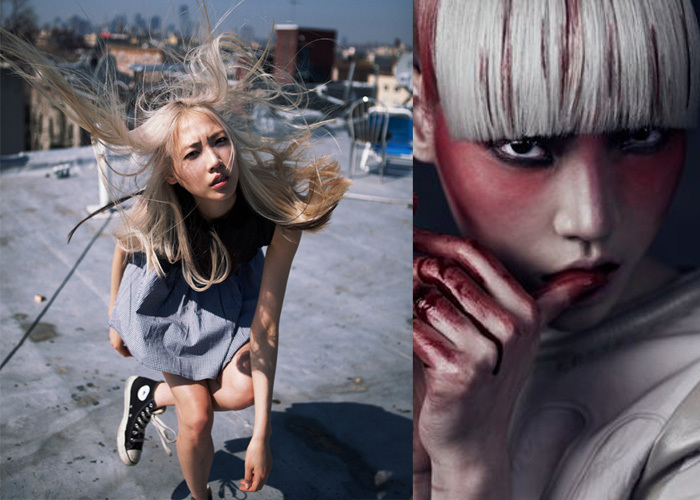 Ages ago I wrote a post about Asians with platinum blonde hair: Platinum Blonde Jealousy. 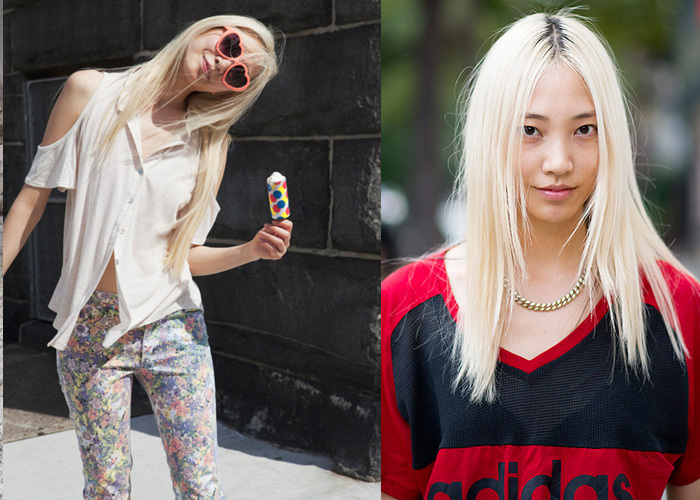 I'm still kind of obsessed with the very hit or miss look so when I stumbled across model Soo Joo and saw she had platinum blond hair, I knew I needed to do a post. She's slightly reminiscent of Daul Kim... but thankfully a lot happier looking!